A few years ago I started a group in Boston aimed at providing space for LGBTQ Jews to gather for learning and worship in a way that would enable us to bring our full selves to the table. We named ourselves Ruach HaYam, Spirit of the Sea, after the sea surrounding us in Boston, and for the sea across which Miriam and Moses led the children of Israel. Ours was not a unique idea at the time, but as we are completing our fifth year at Ruach HaYam, I find it becoming harder, and therefore more essential, to find spiritual community dedicated to queer Jews. Despite what the Tablet reported, there is a problem. Tolerance and even acceptance is not the same as celebration. Allowing me in the room is not the same as understanding me. And in fact, there are still many places where that most elemental of rooms, the bathroom, is closed or hazardous for my transgender and non-binary friends. Wendy Chapkis, Professor of Sociology and Women and Gender Studies at University of Southern Maine, expressed it this way in a 2017 Portland Phoenix interview : “Tolerance doesn’t build community; tolerance doesn’t provide a mirror in which you can see yourself as fierce and fabulous. Queer space does that — and we’re losing those spaces… We absolutely still need queer space. Gay-bashing and anti-trans violence is a very real threat in the streets.” Wendy is talking about queer community, not necessarily spiritual community, but what she says is equally relevant for those who wish to be fierce and fabulous and unthreatened at the intersection of LGBTQ and religious identity. When I was an active participant in the Nehirim community, teaching at two or three retreats each year, I absolutely loved the chance to learn and to practice ritual with other queer Jews. 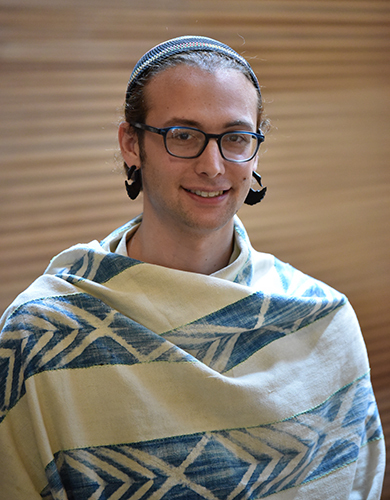 My queer Jewish identity was celebrated, and the interaction with other queer Jewish seekers fed my soul and deepened my love and understanding of Judaism and diversity. I loved it so much that in 2013 I decided to create a retreat experience in the Boston area, modeled on the Nehirim program. I did not know then that the Nehirim program was destined to fold, only that I wanted to have deeper connections on a local level. I gathered a few local friends whom I had met at Nehirim women’s retreats and we founded Ruach HaYam in Boston. Our purpose was to provide an ongoing and intimate way for local queer Jews to worship and study together. We began with an annual retreat, we added one or two Shabbat lunch and learns during the second year, and by the end of the third year we added monthly queer Torah study sessions. Our mantra from the beginning has been inclusion. We worship without a mechitza so as to make less observant Jews comfortable, but with acoustic music only in order to not to drive away those who are more observant. We serve only kosher food at our annual retreats. We have put together our own inclusive siddur. Our services and study sessions are warm, meaningful, collaborative, lead to deepening of friendships, and are simply fabulous. More than that, although Ruach HaYam speaks with a queer Jewish voice, we welcome persons of all gender and faith identities. As we complete our fifth year, I can proudly say that we include among our intergenerational members the newly Jewish, Jews by tradition, Christian, secular, pagan, and undeclared, those who are neurodivergent or disabled, with identities across the gender spectrum, including those who do not identify as LGBTQ. We have evolved into a sort of havurah with two dozen people who come to at least one of our events during the year. What makes Ruach HaYam work, I believe, is that we have succeeded in creating a community that celebrates and welcomes each identity, whether solid or in formation. Each person is welcomed in their full and fierce self, not just tolerated. The text study I teach is full of nuance and ambiguity, and as such, we offer a soft space in which to be vulnerable and in transition. In an era of crystalizing political doctrine, we have a community in which to share “I don’t know” and “I can see many sides.” When we held our retreat on November 12, 2016, I thought that perhaps people who had been devastated by the election results would stay home and lick wounds. Instead, we had a full turnout of compassionate souls who learned about journeying to ourselves (Torah Portion Lech Lecha), and who cried and laughed together while we held sacred space for a day. If ever there was proof of the need for celebratory, not just tolerant, queer Jewish community, this was it. I am particularly pleased that Ruach HaYam is co-host for Spiritual Sisters: A Poetry Reading by Lesléa Newman and Joy Ladin. Joy was one of my first teachers at Nehirim and had a significant impact upon my queer Jewish journey and upon my valuation as a teacher for careful listening, story-telling, and compassion for students. Through the years I have arranged readings for Joy, attended her talks and poetry readings, and attended Shabbatons which she has headlined locally. The poetry reading by Joy and Lesléa, however, is Ruach HaYam’s first collaboration with HBI, and I hope not the last. Penina Weinberg, MJLS Hebrew College ‘09, is an independent Hebrew bible scholar whose study and teaching focus on the intersection of power, politics and gender in the Hebrew Bible. She has run workshops for Nehirim and Keshet and has been teaching Hebrew Bible for 10 years. She has written in Tikkun, founded the group Ruach HaYam, where she teaches a monthly queer Torah study, and is president emerita and webmaster at her synagogue. Weinberg is a parent and grandparent.